There’s no better way to prepare for the Thanksgiving holiday than with apps for your iPhone. 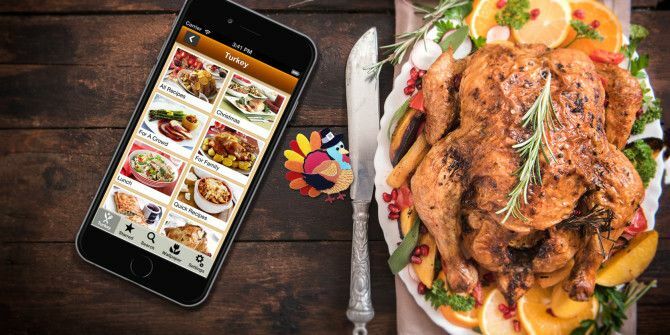 From tasty recipes to enjoyable games to holiday greetings, these 10 apps will get you ready to give thanks. Whether you like to stick with tradition or try something new, Thanksgiving cooking and recipe apps can help. 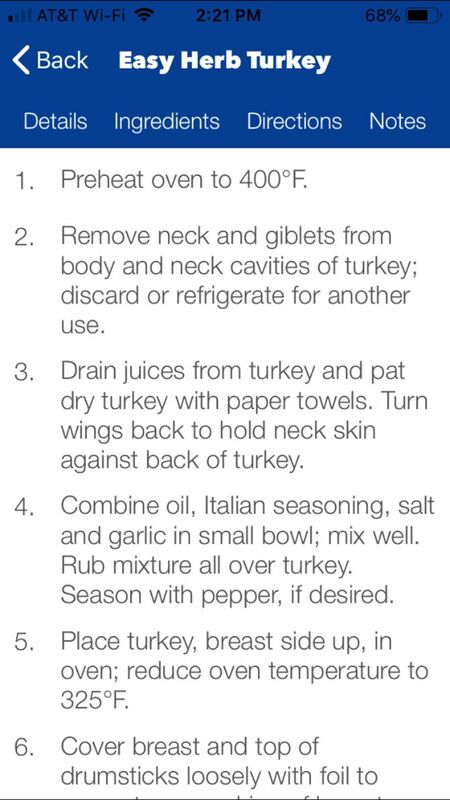 Who knows better about cooking a turkey than Butterball? 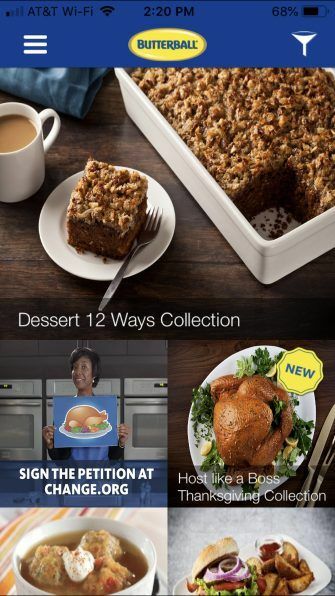 You can check out the Butterball Cookbook Plus app for hundreds of recipes for Thanksgiving and beyond. The recipes aren’t just about turkey; you’ll find desserts, side dishes, casseroles, breads, vegetables, and more. 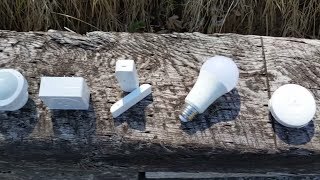 Filter recipes by product or recipe type to get started. Tap one you like to review its details, ingredients, directions, and notes. You can mark your favorites and share them from within the app. As a bonus, Butterball Cookbook Plus includes tools like ingredient substitutes, a conversion chart, and turkey calculator. 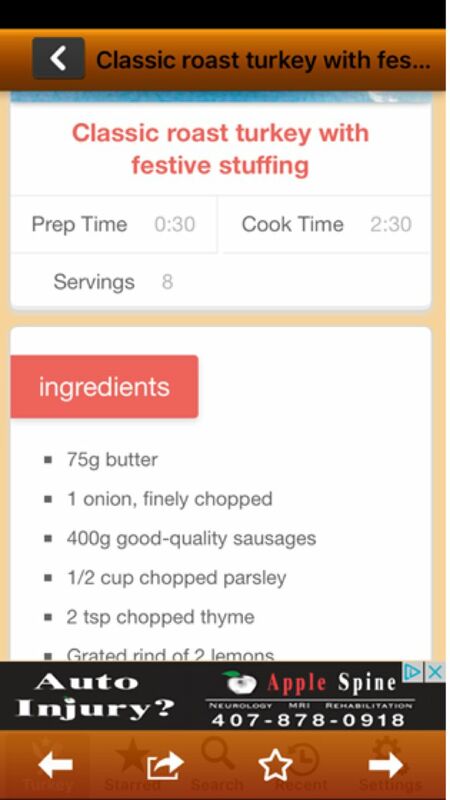 This is the recipe app you want for your Thanksgiving dinner. The Thanksgiving Turkey Recipes app helps you create a unique holiday dish from one of the many turkey preparation methods available. From pan-fried turkey with creamy pepper sauce to a marmalade and whiskey glazed turkey, the app offers plenty of recipe options. Each recipe has a photo, preparation and cook times, serving amounts, ingredients, and instructions nicely displayed. 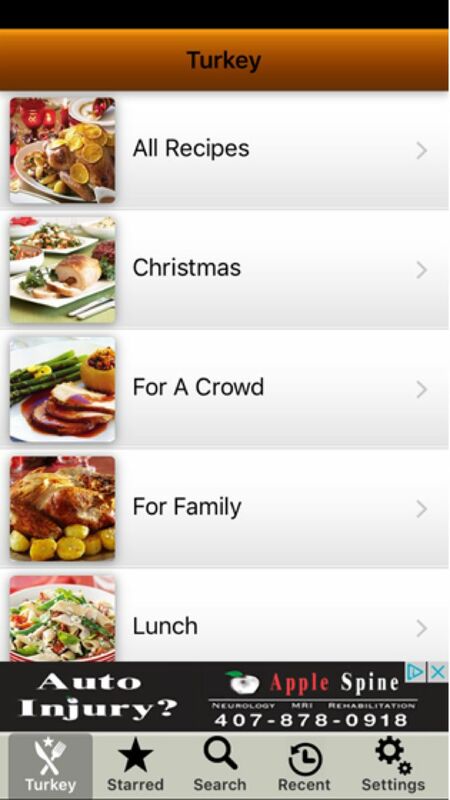 The app lets you search for something specific, save your favorites, and look over the most recent recipes you viewed. So if you’re in the market to try a new turkey recipe this Thanksgiving, this one has you covered. An in-app purchase of $1 will remove the ads. 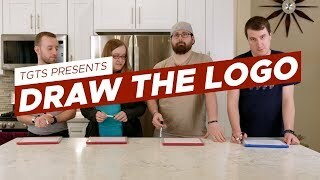 Take a break from the kitchen or get in the holiday spirit with some entertainment. These games are made just for Thanksgiving. 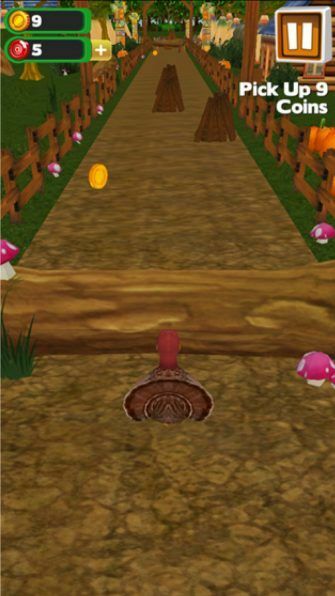 Get ready to race through Thanksgiving Village in 3D Turkey Run. Choose from one of four turkeys, move left and right to pick up valuable coins, swipe up to jump, and swipe down to slide. There are obstacles galore from logs to fences to pumpkins, so you will need to maneuver your turkey well. The game is available for free with in-app purchases for additional tokens. For a little bit of Thanksgiving fun before the guests arrive, save the turkey in this upbeat endless runner. Play a fun matching game while your Thanksgiving dinner is cooking this year. 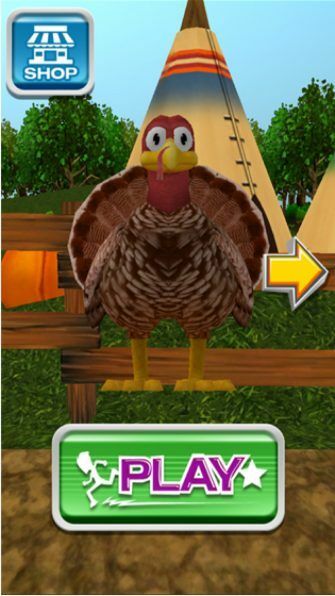 Thanksgiving Mahjong gives you the classic matching game you enjoy with a twist of turkey. The game is available for both iPhone and iPad, offers 10 holiday-themed puzzles, and lets you use hints, shuffles, and undos. If you like to play mahjong any time of the year, why not pick up this holiday challenge specifically for Thanksgiving? 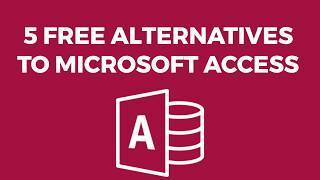 Best of all, it’s free and contains no ads. 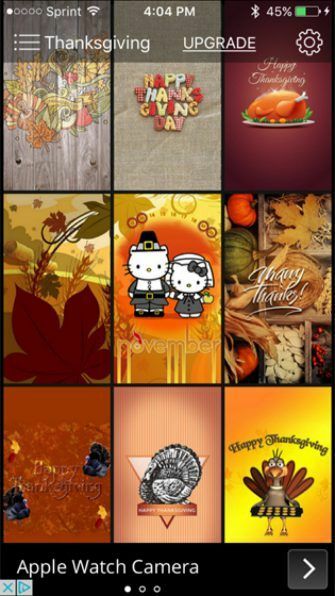 Spruce up your iPhone wallpaper with a Thanksgiving or autumn-themed background. You can even add a countdown until the holiday if you like. With 40 seasonal wallpaper options, recipes, and a built-in countdown, Thanksgiving All-In-One has a bit of everything. 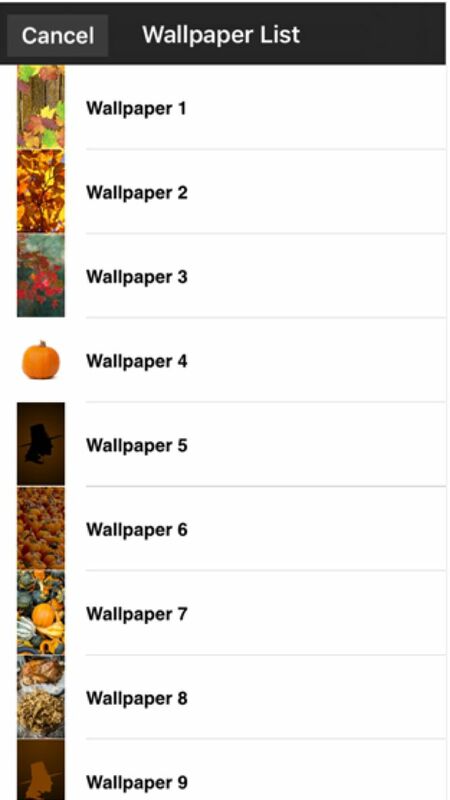 The wallpaper options include pumpkins, leaves, and the silhouette of a pilgrim. 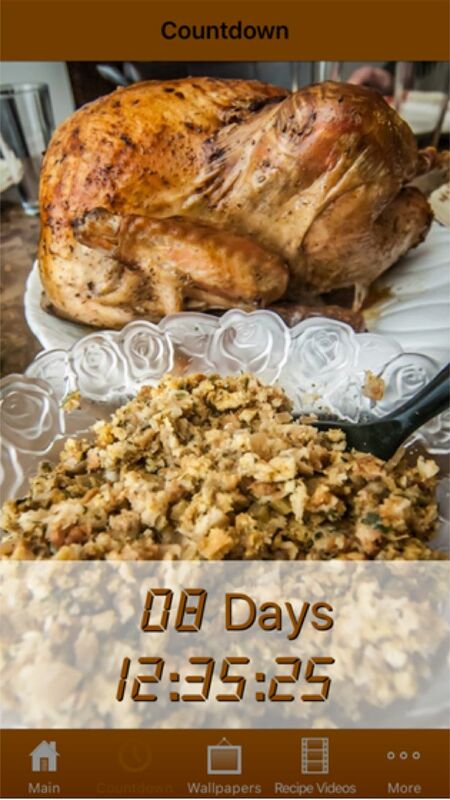 Access the countdown with a tap; it displays the time until Thanksgiving Day arrives. As added bonuses, the app includes links to YouTube videos of recipes and a small section that has Thanksgiving poems. If you are looking for a simple and free app to get you in the holiday spirit, this is one to check out. 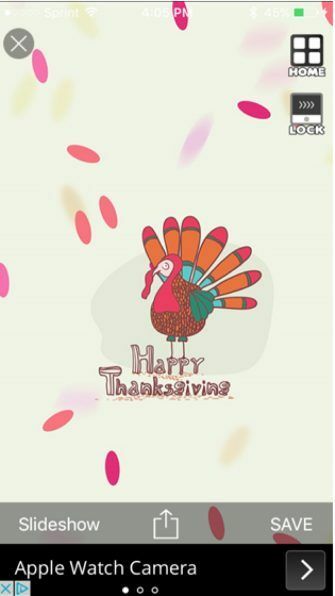 If you’re just looking for a nice selection of wallpapers for your Home or Lock screen, take a look at Thanksgiving Wallpaper & Backgrounds by Floor Girls. From artsy and classic to cute and cartoony, you’ll find many cool options. Once you choose a wallpaper, you can save it to your camera roll or share it with a friend. The app also includes a slideshow option so you can sit back and relax as you browse through the backgrounds. Thanksgiving Wallpaper & Backgrounds also has images for other holidays and seasons, making it useful for any time of the year. Let your kids create some works of art for Thanksgiving with cute coloring book apps for iOS. 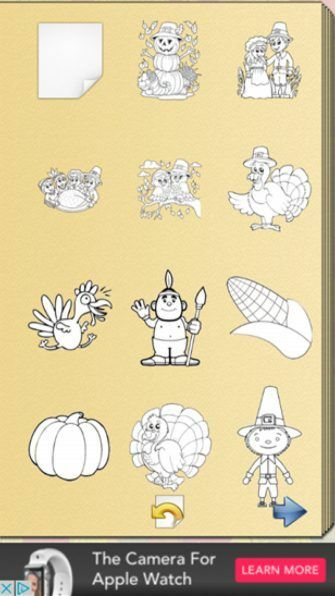 A good coloring book option for the kids is Thanksgiving Coloring Book! from Peep Software. 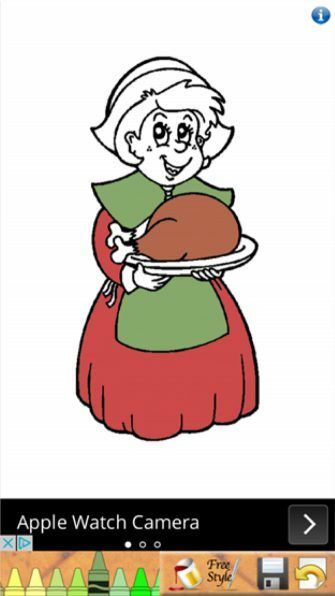 Image options like silly turkeys, young pilgrims, and a perfect pie are available to choose from for any age or preference. One you select a picture, switching colors is easy by swiping on the crayons. Then just tap the crayon color you want and let the fun begin. 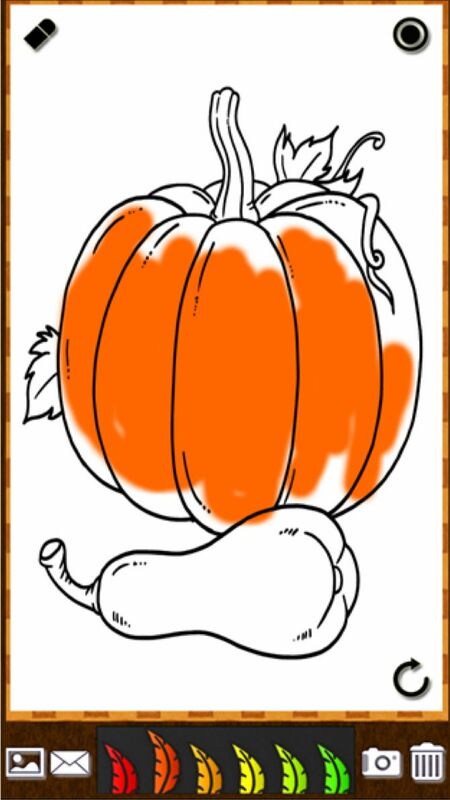 The app offers both brush and bucket coloring modes, a handy eraser, and simple saving or sharing options. 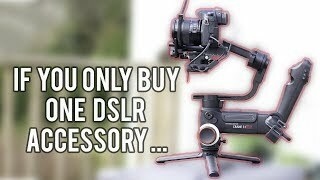 For those images that have a lot of detail, just use the pinch-to-zoom feature. The app is free with an in-app purchase to remove the ads for $1. 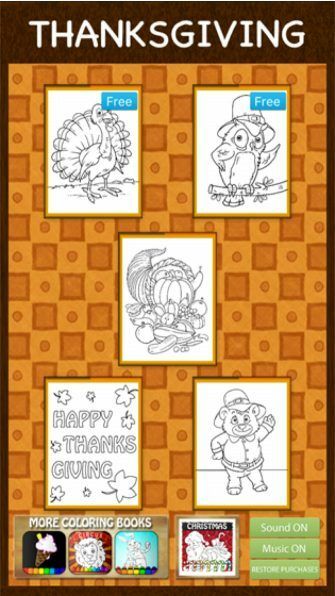 Thanksgiving Coloring Book from TickTap has a smaller selection of images, but still provides the enjoyment of coloring and includes delightful background music. Choose a vibrant color from the 16 options and then pick your brush size to get started. This coloring book app does not include a fill mode, making it more like a real coloring experience. But don’t worry, because if you make a mistake or color outside the lines, an eraser lets you clean up. Email your finished masterpieces to faraway family right from within the app. Additional picture packs are available for a $1 in-app purchase, which also removes the ads. 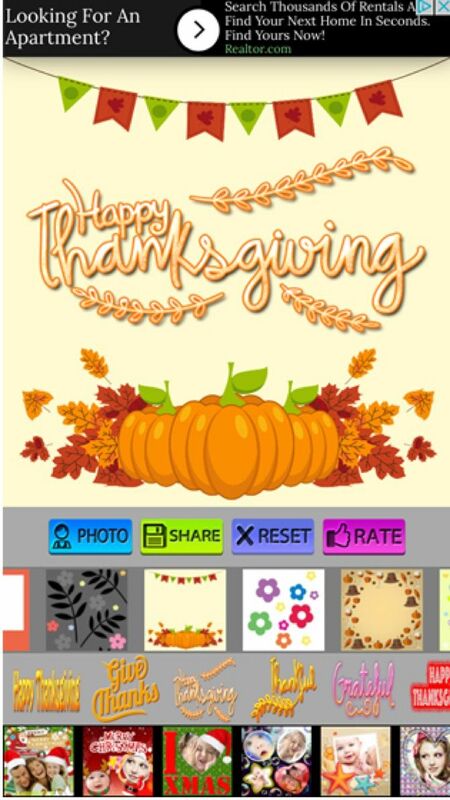 Send a heartfelt or amusing greeting this Thanksgiving with neat greeting card and photo frame apps. From the popular 123Greetings.com comes Thanksgiving Cards & Wishes. 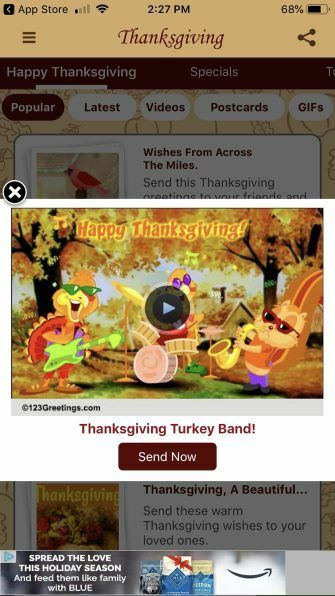 The app gives you over 1,000 free Thanksgiving greetings to choose from. 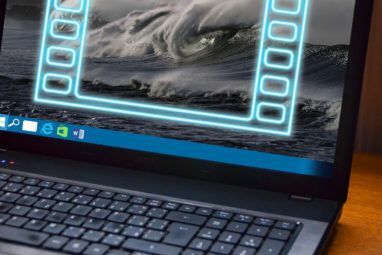 It also offers video cards, postcards, and GIF cards that you can send to your loved ones easily. 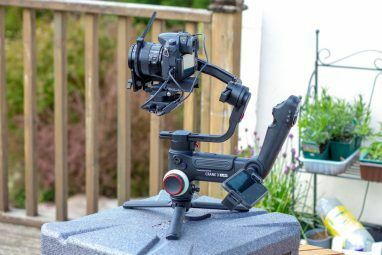 You can also take a look at the bonus features, like scheduling the delivery of your greeting, sending a card to multiple contacts at once, and posting directly to Facebook. 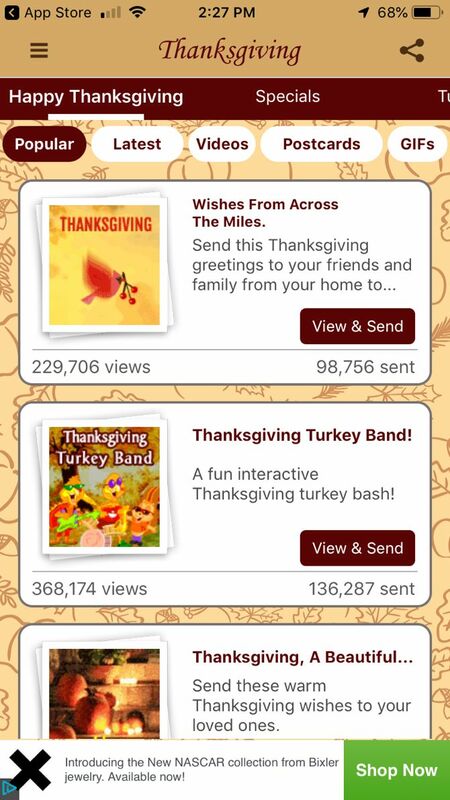 Thanksgiving Cards & Wishes makes it super easy to send greetings that share your thanks this holiday. If you enjoy using your own photos for your greetings, check out Thanksgiving Picture Frames. The app offers over 50 nifty frames, 100 decorative stickers, and a variety of font styles. 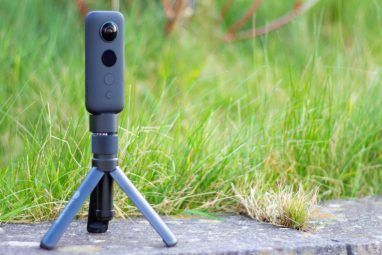 Using the app is simple. 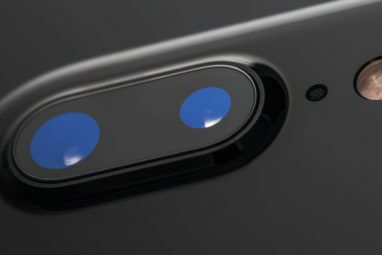 Just select a photo from your iPhone, add your text, and include a few stickers. Then you can share your creation on Facebook or Twitter, send it in an email, or just save it to your camera roll. 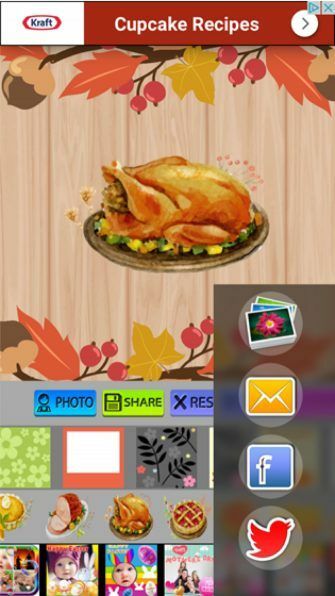 This Thanksgiving, send a gobble or a grin with this fun photo app. Gobble Up the Thanksgiving Apps! 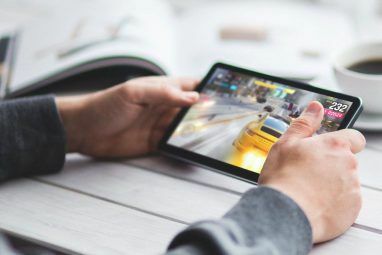 Whether you enjoy themed games, attractive backgrounds, or holiday greetings, these apps are just the ticket for Turkey Day. 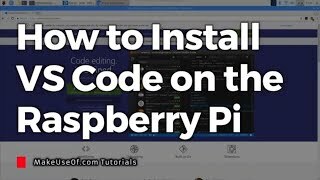 Be sure to also check out our list of guides for having the perfect Thanksgiving How to Throw the Perfect Thanksgiving with These Top Guides How to Throw the Perfect Thanksgiving with These Top Guides Make this Thanksgiving unforgettable. You may be hosting Thanksgiving for the first time. 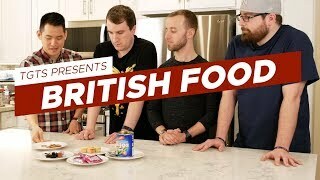 Or for the umpteenth time. Either way, these are the "How-To" guides you should turn to for the perfect holiday. 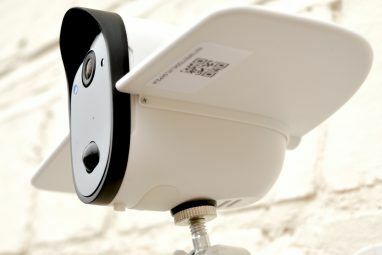 Read More year as well as how to make Thanksgiving stress-free with smart gadgets. Explore more about: Food, Free Games, iOS Apps, iPhone Game, Thanksgiving, Wallpaper.